Pollution. We know that it’s not a good thing – nor does it lead to good things. It can affect many parts of the human body, including the lungs, skin, and stomach. But can it actually affect the mind? Actually, yes – it can. And again, not in a good way. A recent paper published in the Proceedings of the National Academy of Sciences by Xin Zhang, Xi Chen, and Xiaobo Zhang looked into the impact of pollution on cognitive (thinking or reasoning) performance. They used data from the China Family Panel Studies, or CFPS, which is a yearly survey given to Chinese communities, both families and individuals. According to the paper, the 2010 and 2014 versions contained the same set of questions designed to measure cognitive ability. These questions include both verbal reasoning and math problems. The CFPS collects the city of the respondents, allowing all the answers of a given city to be collected and compared to pollution data. 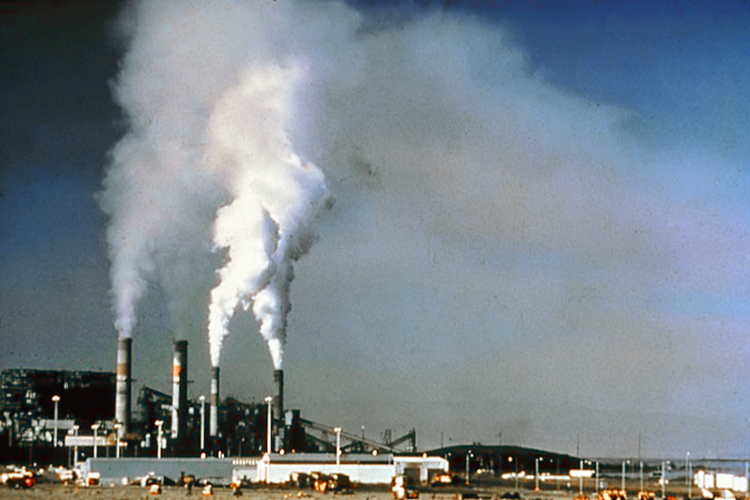 This pollution data had information for each city by date and took into account weather factors like wind or rain that could affect pollution. The researchers took all this information and calculated an air pollution index (API), a measure of air quality. Simply put, the higher the API, the worse the air quality. To make their comparisons, they looked at how long each person who completed the survey was exposed to a high API. Figure 1 from Zhang et al 2018. Verbal and math test scores of respondents as exposure to pollution (API) increases in time. Copyright (2018) National Academy of Sciences. In Figure 1 from the paper (above) the triangles represent male respondents of the CFPS, and the circles represent women. As you move from left to right, the length of time exposed to high API increases. As you move from top to bottom, the performance on the cognitive questions decreases. For the verbal scores, represented in part A, the longer that both men and women were exposed to high API, the lower their scores on the verbal test was. Men had consistently lower scores than women. For the math questions, as shown in part B, scores decreased for both men and women, but as drastically compared to the verbal questions. The researchers also studied scores relative to age. Figure 2 from Zhang et al 2018. Verbal and math test scores of respondents exposed to pollution, as respondent age increases. Copyright (2018) National Academy of Sciences. In Figure 2 above, scores are again on the vertical y axis, but age is shown on the horizontal x axis. According to the researchers, the older the person, the worse they performed in the verbal questions after exposure to high API (part A). The results for the math questions are less clear (part B). Figure 3 from Zhang et al 2018. Verbal and math test scores of respondents of different ages, divided by maximum education level. Copyright (2018) National Academy of Sciences. The researchers also sorted by age and education level (Figure 3 above) those witha primary school education or below are in part A, and those with a middle school education or above are in part B. In every age group, males who did not have a primary school or above education scored lower than males who had a middle school education or above. In even simpler terms, pollution is still bad. Now it seems to affect the mind, in addition to the body. Older folks, men, and those with less education are affected far worse.